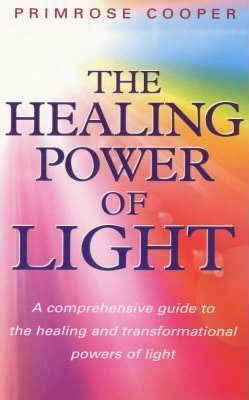 A collection of interesting & informative books on light & light therapy. sunlight andhow the sun can prevent and cure disease – now, and developments for the future. 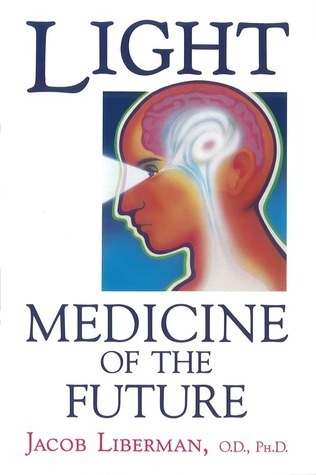 Light: Medicine of the Future challenges the modern myth that the sun is dangerous to our well-being and claims that technological advancements, such as most fluorescent lighting, sunglasses, tanning lotions, and our indoor lifestyles, may be more harmful than helpful. Integrating scientific research, clinical experience, and his own insights, Dr. Jacob Liberman has worked effectively with more than 15,000 individuals, from the learning disabled and physically/emotionally traumatised to business executives and Olympic athletes. The book discusses the use of light in the treatment of various cancers, depression, stress, visual problems, PMS, sexual dysfunction, learning disabilities, and the human immune system. This book was written by scientist Dr. James L. Oschman who has a background in biophysics and biology. It presents evidence from a wide range of disciplines in order to provide explanations for the energetic exchanges that take place in certain therapies. There is a growing interest in the field of mind-body medicine and the role that natural energy forces have in maintaining health and wellbeing. Energy Medicine: The Scientific Basis (1st Edition), is the first clinically-related text on a new theory of medicine and it presents a wide range of evidence to support the theory. Energy Medicine: The Scientific Basis, 2nd Edition provides a deeper understanding of energy and energy flow in the human body. Using well-established scientific research, this book documents the presence of energy fields, discerns how those fields are generated, and determines how they are altered by disease, disorder, or injury. It then describes how therapeutic applications can restore natural energy flows within the body. 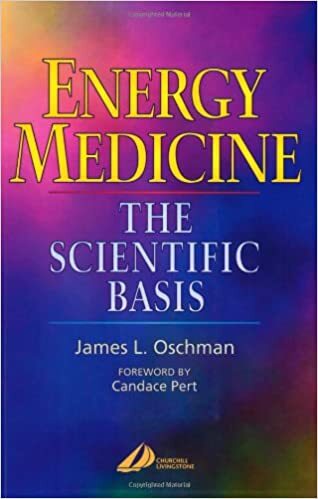 Written by recognized energy medicine expert Dr. James Oschman — who is also a physiologist, cellular biologist, and biophysicist — this resource shows how the science of energetics may be used in healing diseases that conventional medicine has difficulty treating. Source: Amazon. A visual exploration of the power and behaviour of light, across the electromagnetic spectrum, and how it affects life on earth and everything in the Universe. Light allows us to see everything around us, but humans can only see a sliver of all light, known as the electromagnetic spectrum. Here, Kim Arcand and Megan Watzke present the subject of light as never before. 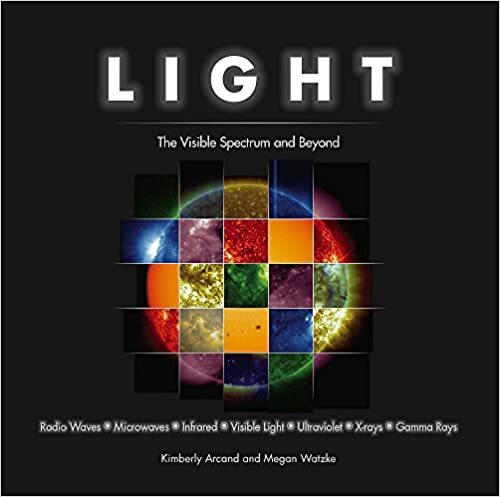 Organized along the order of the electromagnetic spectrum, each chapter focuses on a different type of light. From radio waves, harnessed for telecommunications, to X-rays, which let us peer inside the human body and view areas around black holes in deep space, Arcand and Watzke show us all the important ways light impacts us. An introductory chapter describes what light is and how it behaves, while hundreds of full-color photographs and illustrations demonstrate concepts and make for a stunning book that’s a joy to read and browse. Source – Amazon. The most important things in life are our health and happiness. Yet most of us are neither healthy nor happy. We have been led to believe that if we think ahead and make the right choices, we can manifest our dreams. Yet despite our best efforts, we still have more disease and discontent than ever before. Is it possible that our essential ideas about life are flawed?We are all aware of the impact of sunlight on a plant’s growth and development. But few of us realize that a plant actually “sees” where light is emanating from and positions itself to be in optimal alignment with it. This phenomenon, however, is not just occurring in the plant kingdom — humans are also fundamentally directed by light. 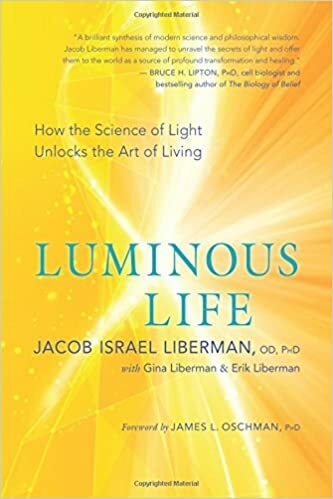 In Luminous Life, Dr. Jacob Israel Liberman integrates scientific research, clinical practice, and direct experience to demonstrate how the luminous intelligence we call light effortlessly guides us toward health, contentment, and a life filled with purpose. Source – Amazon. This book is a comprehensive guide to the nature of light, its healing properties and also its spiritual aspects. It explores the human body’s dependence on light, emphasising its importance for both physical and psychological health. From Amazon page. Are you experiencing SAD (Seasonal Affective Disorder), or do you know someone who is affected by a lack of light? Are you aware of the importance of light in your life, especially during the winter months in northern climates? Do you know that light is — and has been — used to heal people of various disorders ranging from depression to cancer? Answers to these and many more questions about light can be found in Primrose Cooper’s The Healing Power of Light. In this useful and enlightening book, Cooper takes the reader through a sweeping discussion of light and its uses in creating a healthier life.The Healing Power of Light is a well-rounded discourse that demonstrates how hard science and metaphysics merge to give us an opportunity to live healthier lives. After explaining in accessible language what light is, how we perceive it, and the increasing uses for light in the treatment of disease, Cooper opens her discussion to a broad range of thought, including an excellent discussion of the pioneering work of Rudolf Steiner, and of Dr. Norman Rosenthal, who developed full-spectrum light treatment for Sad. 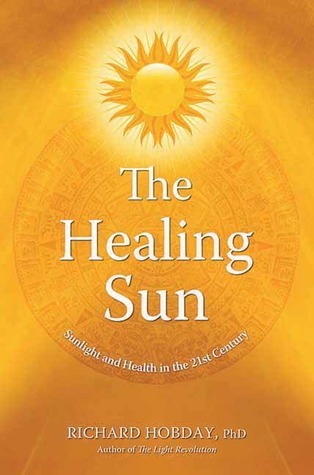 Dr. Edwin Babbitt, author of Principles of Light and Color; Vicky Wall, creator of Aura Soma Color Therapy; Harry Oldfield, developer of electro-crystal healing; Barbara Brennan, author of Hands of Light, and Peter Mandel, who merged light therapy and acupuncture are all cited in this important work. Cooper mentions Dinshah’s famous spectrochrome and the fact that his work is carried on to this day. Cooper investigates the importance of metaphysics in her investigation into the power of light. She delves into the Theosophical system of the Seven Rays, outlining each of the rayswith its respective color association and meaning for whole health. She offers an understanding of the meridians of Chinese medicine as lines of light that run through the body and dramatically impact health.In addition to an explanation of the chakra system, Cooper provides practical advice for clearing your aura, preparing people to receive treatment, and group healing. The Healing Power of Light offers clear-headed advice to guide the reader toward a greater wholeness though light.